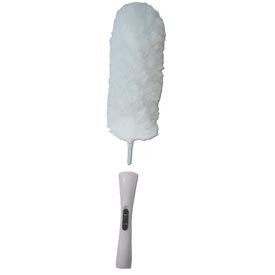 Includes 1 Flexible Microfiber Duster in white. Also available in 6 packs, 12 packs, and 24 packs. The more you buy, the more you SAVE! Threaded at the end to easily attach to our Extension Versapole # 5031 for higher dusting jobs. Hand wash the duster with Red Juice or in the sink with warm water and dish washing soap. Soak the duster for a few minutes and then swish it around to loosen the accumulated dust and dirt. Repeat if necessary. Rinse thoroughly, squeeze excess water and allow it to air-dry. 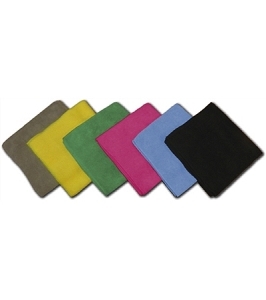 Microfiber loves to grab and hang on to dirt so that is why it is a littler hard to clean. The flexible Microfiber Duster is fantastic. It's gentle, big, and holds lots of dust. The long fibers easily get into the nooks and crannies of carved decorations on furniture. 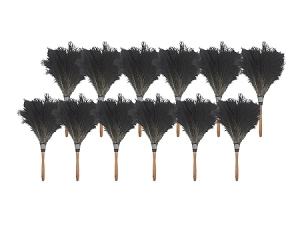 Cuts my dusting time down significantly. Dust is a real problem where I live. 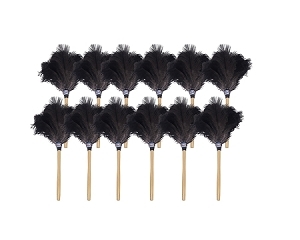 I just ordered and so far really like the flexible microfiber duster to help me with all the dust in my house. It works great on my blinds which have always been a real chore to clean. The fluffy nature of it gets between the blinds better than a feather duster. I bent it at a 90 degree angle and cleaned the top of my ceiling fan blades. 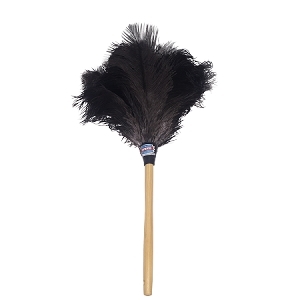 It reaches into places that are hard to get to and dusts them fast because the duster is fluffy and at least 12" long. It was pretty easy to wash out by hand and it is back to its pristine white condition again. Glad you put this item on your site. What is the button for? Thought I had broken it! Great duster! 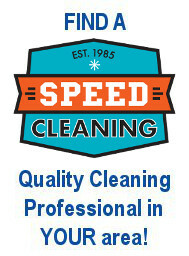 Another great cleaner, but my favorite is still..........the Big Vac! 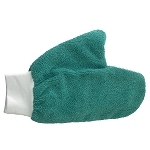 I love these microfiber dusters! It makes dusting blinds so much easier, faster, and thorough!